02/04/2019: Went for a date Monday night, is a cosy Spanish restaurant and from the beginning Juan Carlos give us the best attention and make us feel like home, I think that part of the success of a place remains in the personal touch with customers and Juan Carlos is the best on it, and the other part of success is the food and with the chef Jordi Pla in charge offering testy and real handmade tapas and specialities, really you leave the place just waiting to go back and about the prices a little amount for the delightful moment you had visiting them. 02/04/2019: Went for family dinner to this lovely place for the first time with my mum and sister, Juan Carlos made me and my family feel very welcome, excellent customer service. 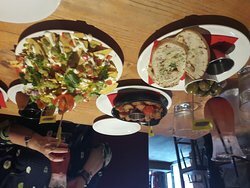 The food is excellent we shared a selection of tapas sending our compliments to the chef Jordi after. 14/04/2019: This is a great place to eat for lunch or early evening. We have only eaten here once in the evening and found the music far too loud for a restaurant...or is it a bar serving food? There was also a "rowdy" crowd treating it like a bar rather than a restaurant. It's got quite an intimate setting so this was definitely a problem for everyone sitting near them. If you prefer a more quiet setting for your meal then visit in the afternoon or early evening. 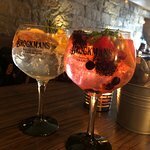 You'll find food and service excellent and the atmosphere much more relaxed. We have eaten here regularly over the past 5 years and would definitely recommend it. 13/04/2019: What can I say, the food was hot, fresh, well presented and tasted fantastic. The wine was also very nice. Nothing but positives. Highly recommend. 13/04/2019: We went on Saturday lunchtime for tapas. 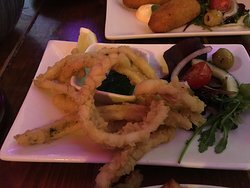 There is a good selection of tapas on the menu and deals on at certain times. We had 5 tapas (pastas braves, Gambas pil pil, Spanish omelette, paella, lamb meatballs) and all were tasty. 27/03/2019: Had a great meal here with friends, lots of veggie options which were very tasty. Unfortunately had to rush off at the end as we had tickets for an event, and desserts didn’t come til just before we had to leave, so was a bit rushed, but otherwise really enjoyed the meal. 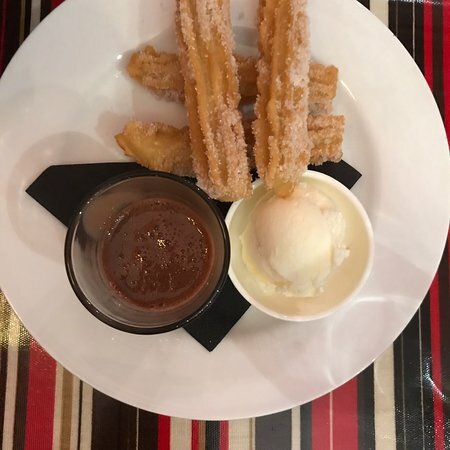 14/03/2019: I am a long time customer of Guillermo's El Gusto tapas restaurant, only being relocated abroad stopped me from going there now. 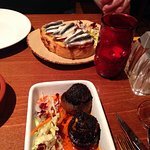 Together with my wife we have tried every single tapas restaurant in Glasgow, and El Gusto is by far the best. Great atmosphere and mostly great food! 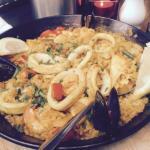 Guillermo is a master in revisiting and modernising traditional Spanish dishes. Meat or Fish it makes no difference to him, and you'll find yourself fully satisfied if you chose to join El Gusto! 06/03/2019: Как и несколько других рецензентов, я очень смущен некоторыми из очень положительных отзывов об этом ресторане. 19/08/2018: Visité por primera vez con mi pareja. Ubicación un poco extraño en una calle principalmente compuesto de unidades industriales y patio de autobuses. Sin embargo, lo que hace que este poco de delicia español un aún más placer inesperado. 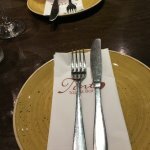 La comida fue justo (teníamos el 3 por £10 menú de tapas), personal muy amable y atento. Añadido era algo de buena música en directo de un grupo de 5 piezas y maravillosa señora de cante. . . manera de pasar una aburrida tarde de domingo. Volveremos. . Espero que pronto. 04/04/2019: A cafe that ios popular with locals with friendly and efficient service and wide choice of cakes, pastries and snacks. Uniquely the cafe roasts its own coffee beans daily for use the next day and may thus appeal to coffee aficianados. Pleasant and comfortable environment but style a bit dated. 24/03/2019: WE came here yesterday lunchtime as a group of 11 cyclists , some of whom were visually impaired ( we were on tandems!). The staff could not have been more helpful. In addition, very efficient and we were all served our lunch promptly, great considering we had arrived in a large group all at once. Food was excellent, great coffee, everyone left happy. Definitely be back here! 10/04/2019: Se fue temprano en la noche y, aunque bastante tranquilo, no había camarero apurado para servir. Sin embargo la comida y las bebidas llegaron rápidamente una vez ordenadas. Las tapas en masa ligera eran grasosas y la masa en el pollo y langostinos era demasiado gruesa. 23/03/2019: Wonderful freshly prepared authentic tapas. Competitively priced and great value. 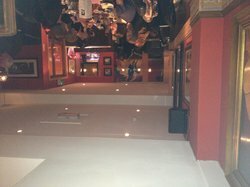 Goid food and atmosphere coupled with attentive service means this is a super venue for any occasion. 19/04/2019: Went here for a light brunch. The restaurant wasn’t that busy when we first went in but was very busy by the time we left. 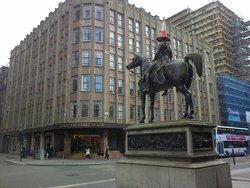 19/03/2019: Estábamos en un viaje en autobús a Glasgow, disfrutamos del almuerzo aquí. Tan rápido y tan amable. 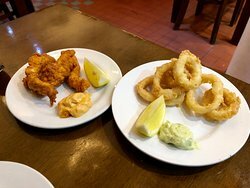 Recomiendo a fondo la langosta Mac an Cheese, sal y pimienta, calamares y gambas king, ¡una magnífica relación calidad-precio absolutamente fantástica! Servicio GRAN! ! ! Gracias vendré la próxima vez. 18/12/2018: Estuve con compañeros de trabajo y tomamos varias rondas. En un punto de la noche perdí mi teléfono y pregunté a una empleada.No quisieron ayudarme porque creo que me confundieron con otra persona y me acusaron de cosas muy feas y me hicieron sentir como una prostituta. Reconozco que iba bebida, pero no es normal irse a casa llorando por el trato recibido. Mi inglés no es bueno y no entiendo todas las palabras pero las caras y los gestos fueron muy claros. Entiendo que en un bar de copas se viven situaciones muy complicadas,pero se confundieron totalmente conmigo. Una pena no volver porque realmente me gusta ese pub. 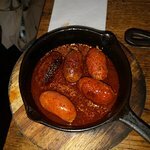 05/01/2018: I'm sorry I hate writing these kind of reviews but I've rarely been anywhere which disappointed me as much as la boca. I read the reviews online before visiting but my friend had been last year and usually she has good taste but not this time. 10/04/2017: Been here a couple of times. Always enjoyed some great, tasty and varied tapas. great location not too far from Central station as well. 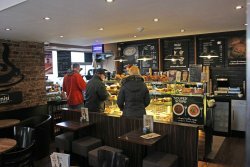 Staff are friendly and a great atmosphere. 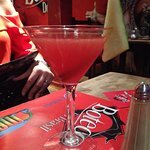 04/01/2017: Have been to La Tasca many times, with my husband, with friends and also with family and I can honestly say it's never disappointed. The food is always delicious and the staff are always helpful. Great Sangria, and the price is always a winner too. 23/07/2018: Fuimos ha cenar mi hermana y yo, mi hermana estudia en esta ciudad y yo trabajo en Inglaterra, nos apetecía tomar algo que nos recordase a casa. 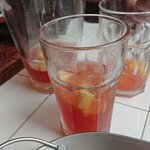 La experiencia fue buena, trato amable y cordial pero la comida no es muy similar a la española al igual que la sangria, no está mal pero no es del todo español, la salsa brava en especial no nos gusto nada, el resto correcto. Limpio y cuidado. 15/11/2017: Viaje familiar al teatro hace dos semanas era ser precedido por temprano visita nocturna a Torres. El restaurante estaba lleno y confirmación de recibido. Nos presentamos y esperamos hasta la hora de reserva de 5. 30 y un poco más allá. Otras cuatro parejas / grupos Llegamos con expectativas similares y Confirmación de reservas, Sin respuesta al correo electrónico queja. 03/03/2017: Had a lovely lunch at Mercado Merchant City Glasgow. Every tapas dish we had was cooked perfectly and tasted amazing. Our waiter was very friendly and came from Portugal. 27/10/2017: Where to begin? I suppose I will start on a positive. The bar/ waiting staff were very nice. The restaurant was dead and there were 5 staff so that could be the reason. But ultimately we were there to eat and sadly the food was really really really bad. Or maybe it’s the chef? Anyway, we ordered tapas and they came lukewarm. Actually we had to send back 3 dishes that were undercooked. The replacements were not much better. My dessert (which was part of the deal or else I wouldn’t have bothered) was also raw! 16/10/2017: Done a 5pm deal with this restaurant was great value for money. The service was good and friendly. Got 7 tapas between 2 of us with a dessert which was more than enough. Good value for money!! 30/08/2016: De haber estado aquí antes de que yo sabía qué esperar ya que tenía una gran experiencia en Fort aquí con un grupo de 8 para un cumpleaños. 24/08/2016: Both had pizzas, very simple, excellent crust, fresh toppings, attentive staff, can sit outside- beautiful weather today so we did. Very reasonably priced.